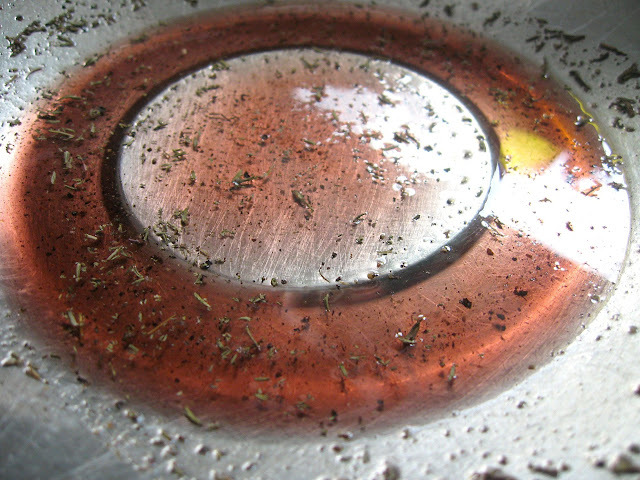 Close up of vinegar and herbs/salt/pepper - prior to the olive oil being added. 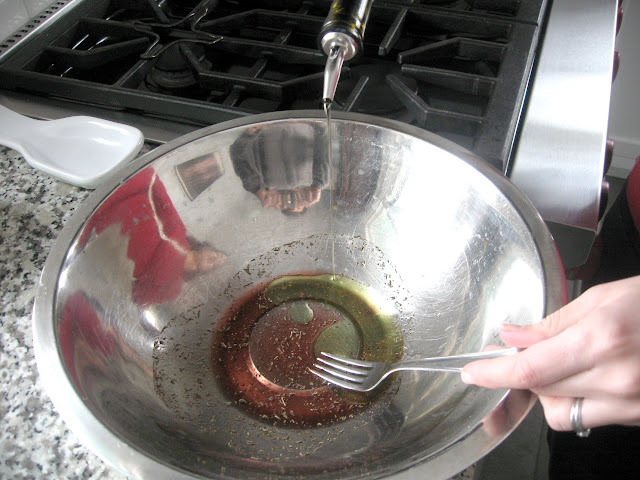 Place the salt and pepper in a small mixing bowl and add vinegar first (this will help dissolve the salt) and mix well. Next, add Thyme and mustard and beat once again. Finally, slowly add the olive oil and beat/whisk until you have emulsification. 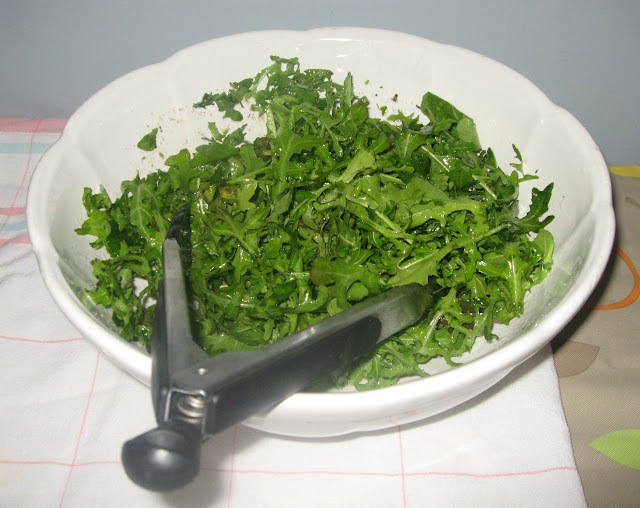 Note: most folks believe in a 1 to 3 ratio of oil to vinegar but I enjoy a slightly more acidic dressing. Also, for those of you who like anchovies feel free to add a single, minced, anchovy (cured in salt or olive oil) to the mixture! There we got the whole store bought salad dressing thing off our chest today, thank you for listening and making your own food at home. I have to do an inward eye roll when I open someone’s fridge and see a gazillion bottles of dressing on the door. One time during my years in Tuscany I was in the Conad near the train station in Florence. There was an American couple behind me at the check out and I heard them saying that they couldn’t find the salad dressing aisle. I wondered if I should break the news to them and thought it would be a kind thing to give them the scoop on how gli italiani dress their insalate.